Natale con i tuoi, Pasqua con chi vuoi. It is a popular saying in Italy. It basically means that a person must be with family (“miei” is an idiomatic expression for “parents”) for Christmas but free to choose with whom to be on Eastern. For this reason every Italian is starting to look around for organizing his Easter Holiday for the long weekend Friday 14th to Monday 17th of April. April is an ideal month for enjoying many beautiful destinations in Italy. The weather is warm, Spring is on the air, the nature blooms and the arrival of the season brings good humor (allergic excluded). Italy is a blaze of colors and invites us to travel, organize and propose travels to our customers. Let’s have a look to our suggestions for your next holiday in Italy. We will be glad to assist you. A walking tour in the former industrial area south-west of central Milan. 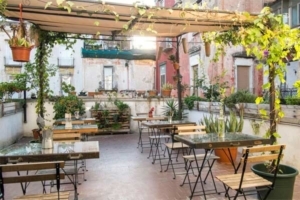 Zona Tortona has become one of the city’s trendiest neighborhoods, where architects strut their stuff in real-estate conversions and boundless talent is liberally applied to fashion and design. Visit of the brand new MUDEC, the Museum of Cultures designed by David Chipperfield. 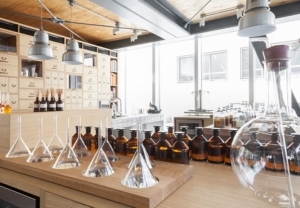 Then short walking to reach a beautiful perfume lab and see the process of fragrance creation followed by an olfactory aperitif were you will taste tailor made drinks created by some of essence oil and herbs used for the perfumes. You will visit Santa Maria Maggiore Basilica, a real jewel rich in priceless beauty. It is the only one among the major basilicas of Rome, to preserve the original structures of his time, enriched by successive additions that make it unique: the mosaics of the central nave and the apse, the coffered ceiling in gilt wood, numerous chapels, the altar. Every column, painting, each sculpture, each ornament of this basilica resonates with history and religious feelings. 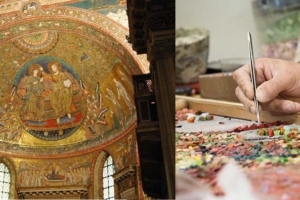 After visit you will reach a private venue where you will have a mosaic master class by local artists that since long time preserve the ancient art. You will create your artwork to take home as memory of the experience. You will enjoy a dinner in the roof of the beautiful San Gennaro all’Olmo Church which is in turn part of Palazzo Marigliano, the most important Renaissance building in Naples Historical Centre. Designed by Giovanni Donadio Il Mormando, Palazzo Marigliano was built in 1512-1513 and it contains amazing frescos, pieces of art of any kind and the Archives. For 70 years it hosted the Tipografia, publisher of great names as Pablo Neruda and Benedetto Croce. Next Italy goes crazy once a year for Carnival. Find out how.